Cashier's Cheque is a banker's cheque purchased by customer to use for making payment to any third party or can be deposited in another bank locally. Cashier's Cheques are also frequently used by bank for payment of bills relating to its operating expenses. You may not wish to carry a large amount of cash while you want to buy products or to pay bills, so let we offer you with a safe and convenient way through Cashier's Cheque. Contact us at ACLEDA Bank Lao's nearest branch to fill in a request for Cashier's Cheque form. 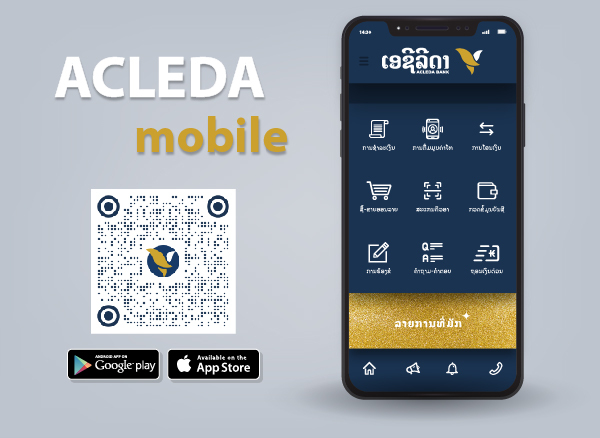 Present your ID card, passport or any other valid document if you don't have an account with ACLEDA Bank Lao. The fee for issuing Cashier's Cheque is USD1.00, or LAK10,000.00, THB50.00 per Cheque. Local money transfer charge if customer deposits the Cashier's Cheque in his/her account or cash from any other ACLEDA Bank Lao's branch. Free of charge (issuing of Cashier's Cheque and local money transfer) for ACLEDA Bank Lao's suppliers.